This page provides links to legal and non-legal employers working in areas related to environmental and planning law, sustainability and business, animal law, international environmental law and other related areas. Click on their logos to be redirected to their websites. We are currently building connections between VELSN and other organisations. Watch this space! Environmental Justice Australia is a community legal centre where lawyers use their expertise to protect the environment. The Animal Law Institute is the only national non-profit community legal centre that is dedicated to protecting animals and advocating for their interests through the Australian legal system. The Melbourne Sustainable Society Institute (MSSI) is hosted by the Faculty of Architecture, Building & Planning, at the University of Melbourne. The MSSI aims to facilitate and enable research linkages, projects and conversations leading to increased understanding of sustainability and resilience trends, challenges and solutions. Founded in 2008, Client Earth is a non-profit organisation that strives to make environmental litigation more ubiquitous, in order to combat prevalent global environmental challenges such as climate change, air pollution, and marine degradation. 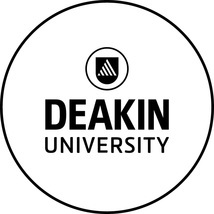 The Deakin Centre for Sustainable and Responsible Organisations works with organisations and their stakeholders in a number of areas, including designing and appraising CSR related initiatives, including activities related to community engagement and employee volunteering initiatives; supporting the development of social enterprises; measuring the social impact of business; supporting social innovation and social enterprise; and fostering sustainable business practices. 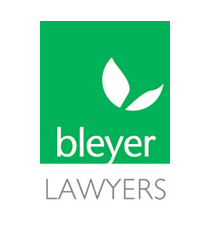 Bleyer Lawyers has a team of individuals dedicated to providing efficient and strategic legal services of the highest quality for all commercial and conservation law matters. Classed as property, animals have no legal voice: they need lawyers to advocate for them. Lawyers for Animals is a volunteer-based organisation dedicated to improving the welfare of animals through education and law. The Barristers Animal Welfare Panel's activities are principally directed to two things. The first is law reform and the second is strategic litigation. The Department of Environment, Land, Water and Planning creates liveable, inclusive and sustainable communities that support jobs and growth in Victoria. The Victorian Environmental Law Student Network is not sponsored or endorsed by, nor does it represent, any of the organisations listed on this page. While we have taken reasonable steps to ensure the accuracy of the information presented on this page, all relevant inquiries should be directed to the organisations themselves.